posted on 16 Mar in General News by The Marketing Angels. The weather is finally on the turn and everyone is itching to get out into the garden once again! In celebration of the upcoming National Gardening Week, we’ve put together a great collection of Outdoor Living products for you, perfect to inspire your green-fingered customers. The British people love wildlife almost as much as they love their gardens! Did you know we as a nation spend £200 million a year on Wild Bird food?2 Give your customers (and the birds!) 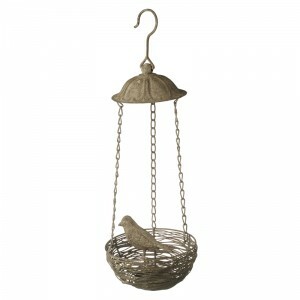 some great choices of bird feeders and accessories. What could be more blissful than the relaxing sound of trickling water? Well, maybe a lovely bench to sit back and laze on. Here are some great garden features that will make your customer’s garden as stylish as it is enjoyable to spend time in. No matter the gardener, you’ll find the ideal gift. For the shed enthusiast, the al fresco diner or the flower bed potterer- there’s a shed load of choice in our Outdoor Living range. posted on 12 Oct in General News by The Marketing Angels. We all remember in our own special way. From the sound of our favorite carols to the smell of the open fire, Christmas time is a treat for the senses. And for many, a welcome trip down memory lane. It’s a time of year where traditions triumph and reminiscent tales are gleefully told. We’re all warm and fuzzy just thinking about it! As consumers continue to revel in vintage styling and a retro edge, Christmas nostalgia has a unique emotional power. Remember opening those advent windows? Leaving out Rudolf’s carrot? And pushing your luck with your mum’s ‘don’t touch that’ decorations? Is there anything more exciting than waiting for Santa to come?! 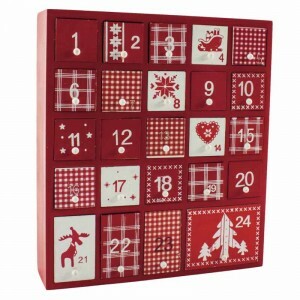 Capture the imagination of the DIY’ers out there with this charming wooden advent calendar with 24 fill-yourself drawers. From chocolate coated with milk to shortbread style with wine. Everyone has their own version of the big man’s favourite snack. 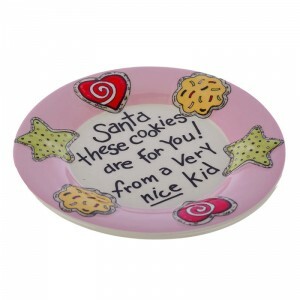 So everyone should have a special plate for them too, right? From ‘Christmas with the Kranks’ to the Chris Rea’s classic ‘Diving Home for Christmas’, this time of year is undoubtedly renowned for loving reunions. 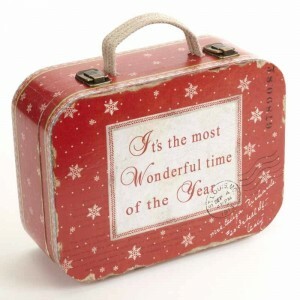 Help your customers remember that united-again feeling with this wonderful vintage style suitcase. In a time of e-cards and virtual treats, many will yearn for that traditional paper trail, straight from the postman. 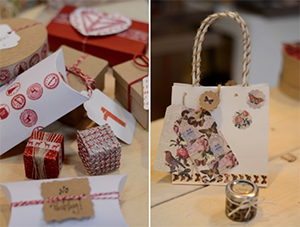 Bring back that classic Christmas card and get crafty with our packing room range. Even as the years roll by, there’s nothing quite like a classic Christmas. So while you’re making your list (and checking it twice) … give a thought to the magic of Christmas past. posted on 7 Jun in General News by The Marketing Angels. The Angels are being creative and thought they’d share their ideas! Have some fun with our Packing Room products with a little helpful inspiration from the Angels who have come up with 3 simple ways for you and your customers to use this fabulous range. 1. Create your own beautiful cards for all occasions. Our Packing Room range will inspire you to be creative, and with a range of stickers and ribbons the design possibilities are endless! There’s no need to purchase your cards anymore, add your own touch of creative genius and personalise them just how you want! 2. We all hate wrapping presents... Dull wrapping paper and flimsy paper tags, well we bring you exciting new products to help jazz up your gifts and easily make them look more creative and appealing... Wrapping presents couldn’t be any more fun! 3. 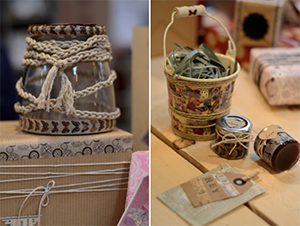 Repurpose and up-cycle your old belonging with our collection of tapes and strings. 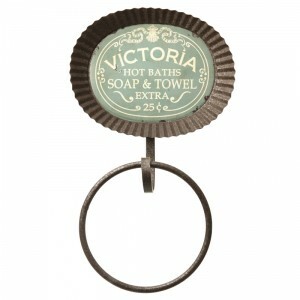 Add that quirky touch to your home and gifts with our fabulous range of products. Who’d have thought a bit of string around an old coffee jar would look so pretty?! There are endless possibilities for using our packing room products... 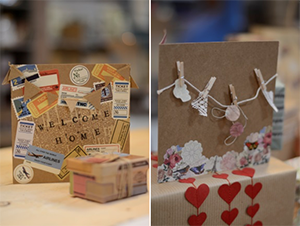 Many more than the few suggested here, but if you’re still looking for some crafty inspiration, browse our collection here or take a peek at our Pinterest board here for all things packing room! posted on 10 May in General News by The Marketing Angels. Her majesty, the Queen has just turned 90! And the only way to celebrate is with a big royal birthday bash. Any time a large occasion within the royal family comes around, people from all over the world watch in fascination, and the Queen’s street party will be no exception! With positive stats like that, retailers should start to prepare for the rise in spending in the run up to the big celebration. Heaven Sends have come up with 3 top reasons why the Queen’s birthday is also a celebration for retailers! 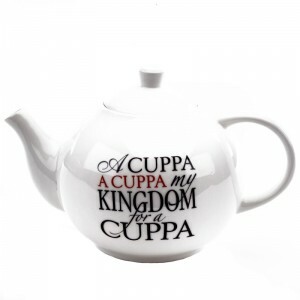 Tourism is a large part of the UK economy, and with the fascination of the royals only increasing, British souvenirs, quirky household goods and royally fabulous gifts are even more popular. With this 90th birthday party being a national occasion, there are more opportunities to bring in buyers wherever your business is! After looking at the spending habits in the UK since the royal wedding in 2011 and the Queen’s Jubilee, it’s shown a big rise in profits for retail and the economy generally. It’s easy to go royally mad during exciting occasions like weddings, births and birthdays, so stocking stores for British bits and bobs is sure to entice the shoppers who can’t help but show their patriotic side! 3.) To be part of the community! The royal advisors are keen to get as many people having their own street party, and drumming up excitement for the lavish event. With charities and sponsors city wide working together to make this birthday bash happen, round up some excitement in your local city, and see the profits rolling in! Top Tip: Have a ‘Best of British’ section in store with a variety of products, flags and even food to attract in customers to buy! There’s proven to be profit made from royal celebrations, and with commemorative items already out to buy, there’s no better time than now to show some patriotism and pick some products to highlight the best of British! Fancy a Cuppa and Some Chocolate? posted on 27 Apr in General News by The Marketing Angels. 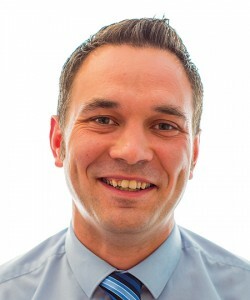 Sent from Heaven (Sends), Our ‘Manly Angel’ Jeff Norman is on hand to take care of you in East Anglia. With his enormous passion and understanding of the gift industry, he is a fountain of knowledge, ready to help your business grow! Here are his 5 fabulous reasons to order with him! 1.) I can drop by and visit you to guide you through your buying decisions, advise on bestsellers, and choosing the right products for your business. 2.) 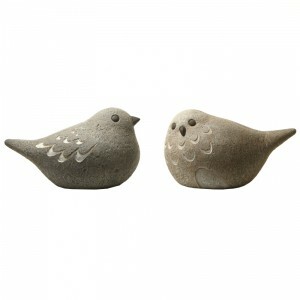 If you love to natter about all things Home and Gift (and obviously a bit of football), then we’ll have lots in common! 3.) Avoid the trade show rush and place an order at your own convenience! 4.) As your dedicated Angel with extraordinary service skills and expert gift industry knowledge, I can advise on everything from due dates and back orders to the latest hot trends. 5.) You put the kettle on and I’ll bring plenty of chocolate coins! posted on 25 Apr in General News by The Marketing Angels. UK consumers spend around £5 billion a year on products and plants for their gardens* Now Spring has sprung, and we can see glimmers of summer to come, it’s the perfect time to have fun with foliage and neaten up the garden. Heaven Sends Outdoor Living range is much more than just gardening…with blooms, buckets and bits and bobs and even benches; your garden can reside inside and not just outside. The Heaven Sends handy guide is here to show you some products that are sure to get your shoppers excited about going green! A bench is the perfect statement piece in any outdoor space, and this one is no exception. 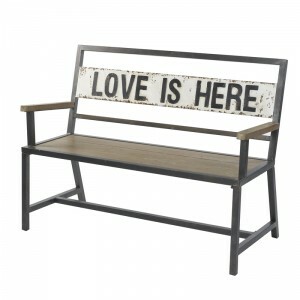 The ‘love is here’ metal and wooden bench has a touch of up-cycled charm adding quirky detailing to a living space or garden. Just imagine lounging on this bench, soaking up the sunshine? Bliss... if you like the thought, so will your customers! Available for future delivery. 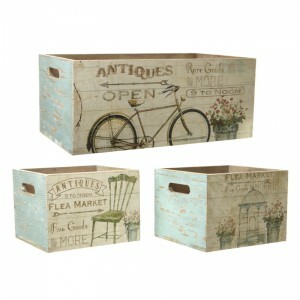 This fabulous set of three antique style 'Flea Market' crate set comes in assorted sizes and are perfect for indoor or outdoor storage. Alternatively, pop in pre-potted plants as a modern quirky planter with a vintage classic design. If you don’t have the gift of green fingers, then these 9 helpful herb markers will make sure you never confuse your parsley with your rosemary again! 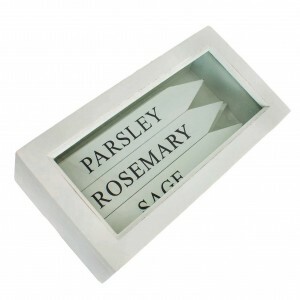 These wooden markers come in their very own matching box...useful to store anything from seeds to string while your markers are in use! 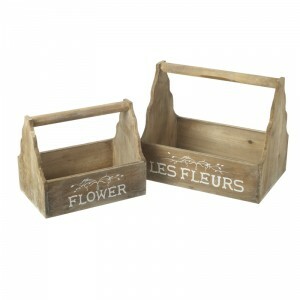 These simply fabulous wooden trugs will be the perfect garden accessories! Your gardening clientele can pop plants, pots or garden greens in the basket or simply use it as a decoration inside or outside! Available for future delivery. 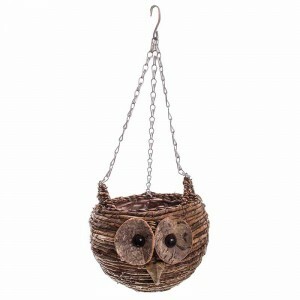 How adorable is this hanging owl basket!? Not only can it be used to pot plants, but this woodland animal is sure to attract shoppers that want to add some fun into their garden! 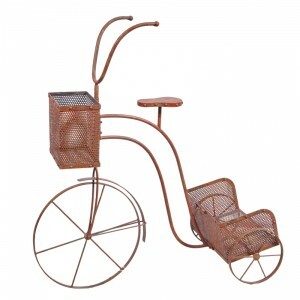 Available for future delivery! 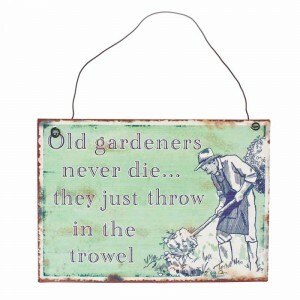 Pun lovers will appreciate this humorous ‘old gardeners never die’ metal sign. 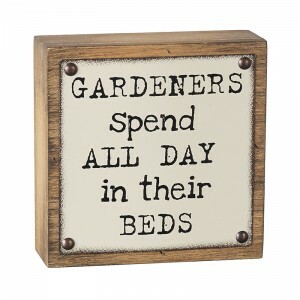 A great gift idea for those with green fingers, or for garden enthusiasts to hang in the home as an amusing sign! 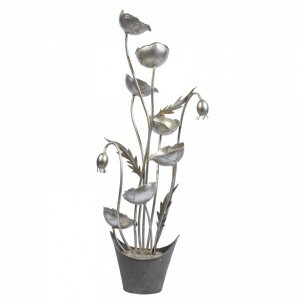 As the sun begins to shine, stocking up on a choice of outdoor themed products will definitely attract customers regardless of if they’re garden proud or simply want some bits and bobs to decorate their outdoor space. Focus on the visual merchandising of your products and set up a ready-made garden area in store to help shoppers see all your garden goodies and entice them into buying multiple products! There’s a load to choose from at Heaven Sends…see our Outdoor Living range here! posted on 21 Apr in General News by The Marketing Angels. Today is the wonderful Queen Elizabeth’s 90TH birthday, and although her fabulous street party is not until June, there is still lots happening to mark the occasion! The Royal family generates close to £500 million every year in tourism revenue*, and sales from British souvenirs, gifts and household goods brings a huge boost to the economy. 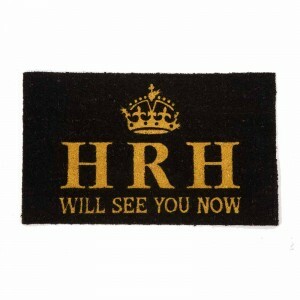 Stocking stores with British bits and bobs will be an investment not only for royal occasions, but throughout the year! Here at Heaven Sends we have the perfect patriotic pieces to fill up on! With events happening all over to celebrate the Queens 90th, there is set to be a rise in retail sales. So get your Heaven Sends products now at a discounted price in our Marketplace to make sure you don’t miss out on the opportunity to profit! The 'Rock' Angel is back! posted on 20 Apr in General News by The Marketing Angels. It's our pleasure to tell you all that our 'Rock' Angel, Martin Morris, is back at Heaven Sends! After a short break away, he is back to share his wealth of Heaven Sends knowledge! Some of you may have met Martin at previous shows or spoke to him over the phone; now Martin will be on the road and can come to see you if you're based in Shropshire, Staffordshire, Derbyshire, Nottinghamshire, Cheshire, Greater Manchester, Merseryside & North Wales. Armed with his iPad, he can help you find best-selling products, stock availability, new product ranges and answer and any other questions you may have; in the comfort of your own city! Great right? He is excited to meet his customers and help them all develop their business with the help of Heaven Sends! Is that wedding bells we hear..? posted on 18 Apr in General News by The Marketing Angels. Here at Heaven Sends we love romantic detailing and beautifully decorated rooms, so it’s no surprise that the wedding season is one of our favourites! Each year in the UK weddings are worth £10 billion* so stocking up on lots of romantic goodies offers loads of choice to couples & will be benefit you and your customers alike! Heaven Sends have put together a mini guide of different ways to use our many products to help couples get hitched, without a hitch! 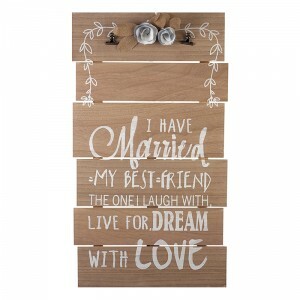 Decorating tables at a wedding takes thought, and with people now enjoying craftier and quirkier decorations, this wooden table top sign with it's romantic quote & room for personalisation is a simple choice to finish a table off perfectly. The more creative choices you offer, the better! Roses are a popular choice to create a vintage floral style. 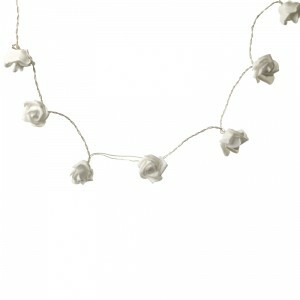 Our white rose garland with battery operated LED lights can bring a soft touch of romantic detail to any room. If couples are looking for those simple finishing touches to bring a theme together, then look no further! This floral garland is sure to look heart-warming for their big day. 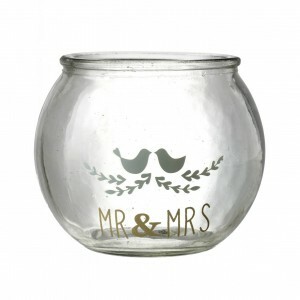 We all know that lighting can help set the mood, and our Mr. & Mrs. candle holder is definitely made with two love birds in mind. 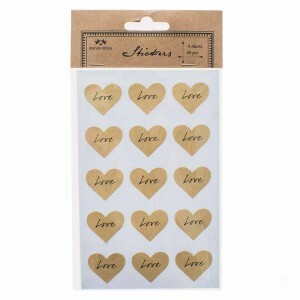 Dotting these delightful holders around the tables is a fabulous way to add an amorous finish to any wedding venue. 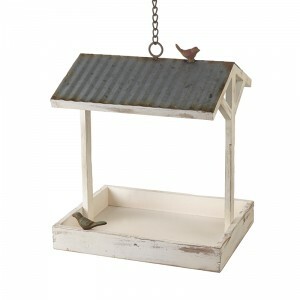 Blushing brides looking for some outdoor inspiration will adore this item! With the sunny days now here to stay (we hope), couples are seeking natural decorations to compliment the beauty of the outdoors. 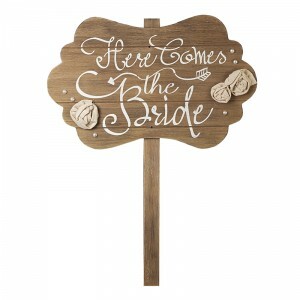 Create your own aisle starting with this wooden "here comes the bride" stake! 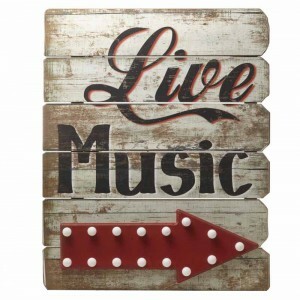 If your shoppers have decided to sack the DJ and going for something a little grander, such as a live performer, this wooden "live music" sign is sure to entice them as the perfect eclectic piece for the big day! Place this sign outside the venue and let the LED arrow light up the way to all the fun! There are endless possibilities of how to use our products than the few suggested here, but if you’re still looking for some wedding buying inspiration, browse our wedding collection here or take a peek at our Pinterest board here for all things wedding! Retailers at the ready: Father's Day! posted on 1 Apr in General News by The Marketing Angels. In 2015 it was estimated that UK consumers spent £684 million on Father’s Day and at least £467 million was spent on gifts* These statistics show that it’s not only Fathers that will benefit on the 19th June, but retailers too. 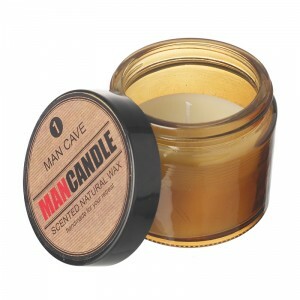 Buying gifts for men can sometimes be tricky so Heaven Sends are here to give you a helping hand!.. 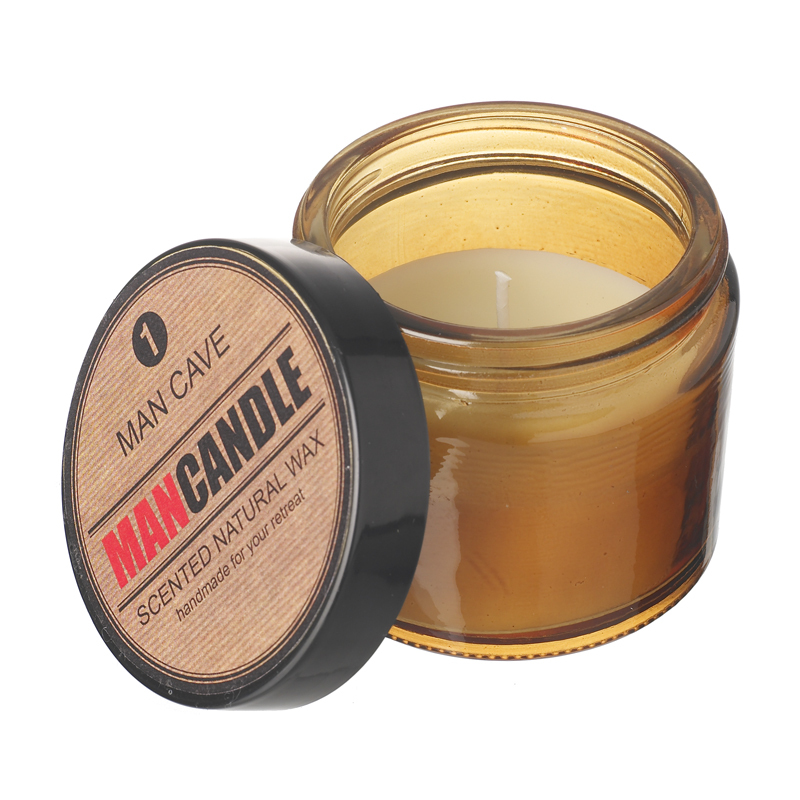 We’ve put together a guide to some of our fabulous products perfect for Dad! Boys and their toys! 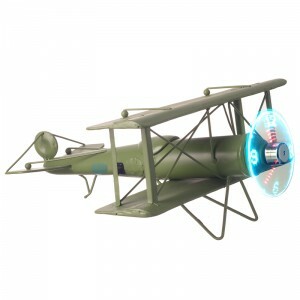 This nostalgic metal propeller plane with an LED clock is sure to be the perfect gift for a gadget loving dad. 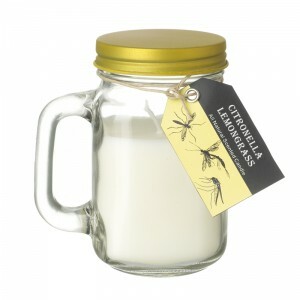 Stocking up on quirky gifts like this will give customers more choice! 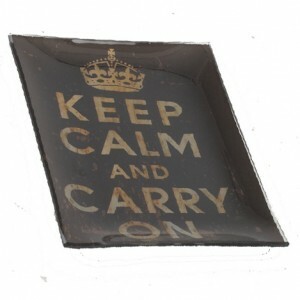 This retro sign is perfect for those who want a keep-sake gift for Father’s Day. 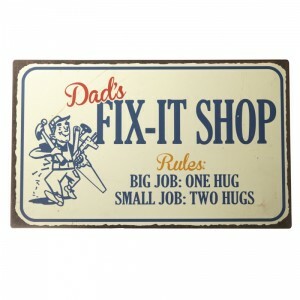 This fab fix it sign will certainly attract sentimental shoppers of all ages! 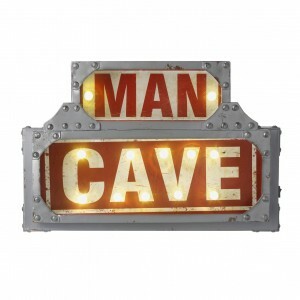 LED lights are a must have right now, and this man cave sign will definitely appeal to those who want to splash out on a quirky and fun house accessory as a gift. Tug at his heart strings with this stitched dad card. 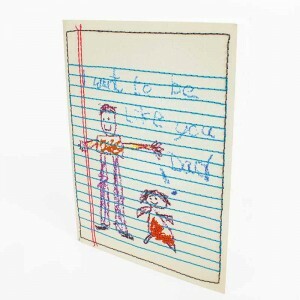 This card with a stitched design saying ‘I want to be like you dad’, can be an affectionate gift from younger ages or for Mother’s to buy on behalf of their kids for Father’s Day. To attract customers, setting up a seasonal gifts section early in store or online will help entice shoppers to buy for big calendar events. 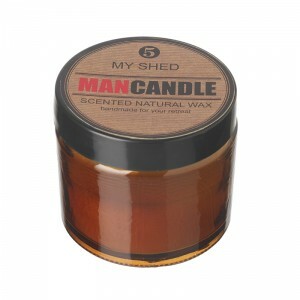 Browse our Father’s Day section here and see our Pinterest board for more gift ideas to stock up on!